Today, I want to share my personal insights about retailing vs. recruiting vs. team building in your network marketing business. You’d think this would be common knowledge in our industry, but for some reason it’s not. I hope to fix that problem today! First off, retailing should be your number one objective when you are first getting started in the business. When you first join a network marketing company, before you try to sponsor anyone, you should go out and find five retail customers as quickly as possible. I’m not talking about people who make a one time purchase either. I’m talking about finding retail customers who sign up for auto-ship and order every month! You might have to find 10 to 15 customers to find five loyal, repeat customers. Whatever you do, keep acquiring customers UNTIL you have at least five good customers. You need to do this for two reasons. First off, it helps you make a solid retail profit in your business, so you make enough money to get your products for free each month, cover your business expenses and even have some profit left over. 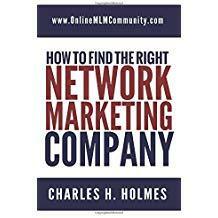 With most network marketing companies five good retail customers is worth at least $100-$200 per month to you. The second reason you want retail customers is because you haven’t earned the right to recruit people into a “money-making opportunity” if you aren’t making money yet yourself (my opinion). I know some of you will disagree with that, but that’s how I feel. Assuming you’ve found your five loyal customers, you now have a profitable business, AND you can teach others to do the same thing. Make sense? The third and final reason you want retail customers is because you want to lead by example in your business. You don’t have the right to tell your team to go out and find customers if you don’t have any customers yourself. Let your actions match your words. Lead from the front and make sure you are doing what you want your group to do. Assuming you are building your business part-time, you should be able to find five loyal, repeat retail customers within one to two months. That’s very conservative and very doable. Once you’ve done that you can move to the next step. Step two is recruiting, also known as personal recruiting. This is when you offer the business opportunity to others. Your primary objective with personal recruiting is to find five people who are coachable and willing to work. You’ll probably need to have 20 active people personally sponsored to find five people who are willing to work. From personal experience, I’ve found that only about one in ten people are coachable and willing to do anything at all with the business. Therefore, you’ll probably need to sponsor about 50 people to find five people you can work with. If you sponsor just one person a week, you could finish your personal sponsoring within one year. Not bad! Most of the people you recruit into the business will simply be a product user, even if they had intentions to build a business when they first joined. Most people simply do not have the work ethic, vision, motivation, or commitment to build a successful business (of any kind). It’s just reality. I’m sure you have already figured that out by now. Everyone’s number is different. Some people will find their five serious people by sponsoring as few as 20 people. Some distributors will have to sponsor much more than that. You can improve your success by talking to pre-qualified prospects and sponsoring up. Once you have your five serious people, you can move to step three. This is where the business gets fun. This is where you shift your efforts from personal to recruiting, and spend MOST of your time working with your five serious people. Your job is to transfer your knowledge to them as quickly as possible and to help them find their five customers and five serious people. Just to clarify, while you are helping your five serious people, you are still personally recruiting and retailing and working with some of your less serious people. However, you’re probably only spending about 20% of your working hours doing that and about 80% of your working hours helping your serious people. You want to work with each serious person (leader) until their business is established and they don’t need your help anymore. At that point, you can start another leg to work with or simply keep working in depth! If you get nothing else out of this article, remember this. Width gives you immediate profit, but depth is where your long-term security and long-term money comes from. Ultimately, you want DEPTH. You want three to five legs, each hundreds of levels deep. You can do that by tap-rooting. Make it a goal to help everyone you sponsor sign up at least one new person, and then start working with that person. Keep repeating this process over and over and over in depth and never stop. Always work at the deepest level of your organization, with the newest, most excited person. Remember that the 90% is vitally important for your ongoing residual check. Treat them well and let them know you appreciate them, but spend about 80% of your time with the 1 to 2 percenters and about 20% of your time with the 8% part-timers. Do that and you will be well on your way. This really is the key to success in our industry. You want to work smart and know what you are working toward. You want to start out by finding five good customers. Once you do that you want to personally sponsor about 20 to 100 people (or more) UNTIL you find your five serious people. At that point you want to focus on team building by working in depth. By following the three steps mentioned above you should rise to the top ranks in your compensation plan. What are your thoughts about this concept? Does it make sense to you? Leave a comment below to let me know what you think. I look forward to hearing from you. Have a great day. Previous Previous post: Is Network Marketing Really a Relationship Business? I also believe that having a strong base of retail customers is a need before branching out into recruiting others into the company. You need that foundation that is going to continually pour funds into the company. No one wants to be a part of a company that cannot prove it is making money, so we have to serve as the examples. Plus, in doing so we are teaching others strong business practices that will go on to benefit them as well. Without customers you don’t have a business. Like you, I wonder why this isn’t common knowledge Chuck. It just makes perfectly good sense, but I often find so many people who try to move backwards down the list. That is what I am doing with my business right now is just trying to find some customers. It comes by sharing samples and explaining how the products or services work with us. My biggest battle is overcoming the objections of people who have been mislead by network marketers before. It seems like one bad apple can ruin a large apple plantation. Very good post. Have a great week. Yes, Greg, lots of people do things backwards in our industry.